ellehermansen: Counting Down to Tori Amos' Night of Hunters Release! My Love is Strong for Norway. My Norwegian Family is Visiting! Counting Down to Tori Amos' Night of Hunters Release! This will be this ravishing redhead's 12th studio album - and it is quite the understatement to say I was merely excited to discover Tori Amos' album cover and track list! The track list also sounds so lovely! 10. "Edge of the Moon"
Tori's music gets me through life - and as the fall approaches, you'll always find me streaming classical music from iTunes, as it helps me get through the days and up to Halloween (then I kick into Holiday music). Tori has always been there for me musically, and to hear it's inspired by classical music makes me even more pumped for this release! This year she is also going on a world tour, and I HAVE to go. 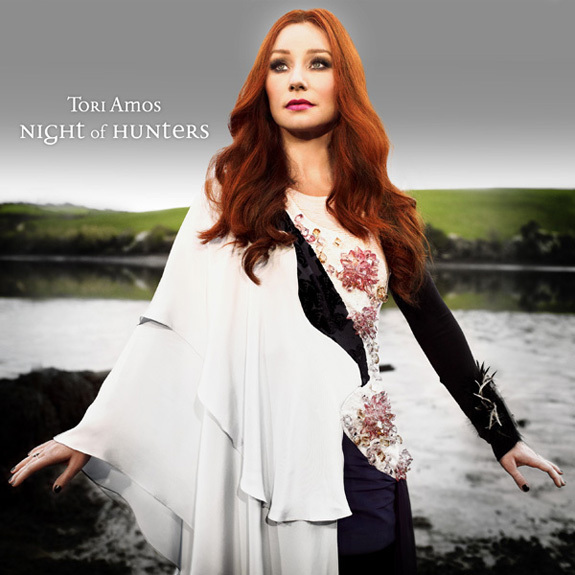 Are you excited for the new Tori Amos album "Night of Hunters"?